The author selected the Free and Open Source Fund to receive a donation as part of the Write for DOnations program. ClickHouse is an open-source, column-oriented analytics database created by Yandex for OLAP and big data use cases. ClickHouse’s support for real-time query processing makes it suitable for applications that require sub-second analytical results. ClickHouse’s query language is a dialect of SQL that enables powerful declarative querying capabilities while offering familiarity and a smaller learning curve for the end user. Column-oriented databases store records in blocks grouped by columns instead of rows. By not loading data for columns absent in the query, column-oriented databases spend less time reading data while completing queries. As a result, these databases can compute and return results much faster than traditional row-based systems for certain workloads, such as OLAP. Online Analytics Processing (OLAP) systems allow for organizing large amounts of data and performing complex queries. They are capable of managing petabytes of data and returning query results quickly. In this way, OLAP is useful for work in areas like data science and business analytics. In this tutorial, you’ll install the ClickHouse database server and client on your machine. You’ll use the DBMS for typical tasks and optionally enable remote access from another server so that you’ll be able to connect to the database from another machine. Then you’ll test ClickHouse by modeling and querying example website-visit data. One CentOS 7 server with a sudo enabled non-root user and firewall setup. You can follow the initial server setup tutorial to create the user and this tutorial to set up the firewall. (Optional) A secondary CentOS 7 server with a sudo enabled non-root user and firewall setup. You can follow the initial server setup tutorial and the additional setup tutorial for the firewall. In this section, you will install the ClickHouse server and client programs using yum. The pygpgme packages is used for adding and verifying GPG signatures while the yum-utils allows easy management of source RPMs. Altinity, a ClickHouse consulting firm, maintains a YUM repository that has the latest version of ClickHouse. You'll add the repository's details to securely download validated ClickHouse packages by creating the file. To check the package contents, you can inspect the sources from which they are built at this Github project. The -q flag tells the command to run in quiet mode. The makecache command makes available the packages specified in the --enablerepo flag. Userid     : "https://packagecloud.io/altinity/clickhouse (https://packagecloud.io/docs#gpg_signing) <support@packagecloud.io>"
The output confirms it has successfully verified and added the GPG key. You've installed the ClickHouse server and client successfully. You're now ready to start the database service and ensure that it's running correctly. The clickhouse-server package that you installed in the previous section creates a systemd service, which performs actions such as starting, stopping, and restarting the database server. systemd is an init system for Linux to initialize and manage services. In this section you'll start the service and verify that it is running successfully. You have successfully started the ClickHouse server and will now be able to use the clickhouse-client CLI program to connect to the server. Creating, updating, and deleting databases, tables, indexes, partitions, and views. Executing queries to retrieve data that is optionally filtered and grouped using various conditions. The --multiline flag tells the CLI to allow entering queries that span multiple lines. In this step, with the ClickHouse client ready for inserting data, you're going to create a database and table. For the purposes of this tutorial, you'll create a database named test, and inside that you'll create a table named visits that tracks website-visit durations. 0 rows in set. Elapsed: 0.003 sec. A ClickHouse table is similar to tables in other relational databases; it holds a collection of related data in a structured format. You can specify columns along with their types, add rows of data, and execute different kinds of queries on tables. UInt64: used for storing integer values in the range 0 to 18446744073709551615. Float64: used for storing floating point numbers such as 2039.23, 10.5, etc. String: used for storing variable length characters. It does not require a max length attribute since it can store arbitrary lengths. Date: used for storing dates that follow the YYYY-MM-DD format. DateTime: used for storing dates coupled with time and follows the YYYY-MM-DD HH:MM:SS format. After the column definitions, you specify the engine used for the table. In ClickHouse, Engines determine the physical structure of the underlying data, the table's querying capabilities, its concurrent access modes, and support for indexes. Different engine types are suitable for different application requirements. The most commonly used and widely applicable engine type is MergeTree. 0 rows in set. Elapsed: 0.001 sec. The remainder of this guide will assume that you are executing statements within this database's context. id: The primary key column. Similarly to other RDBMS systems, a primary key column in ClickHouse uniquely identifies a row; each row should have a unique value for this column. duration: A float column used to store the duration of each visit in seconds. float columns can store decimal values such as 12.50.
url: A string column that stores the URL visited, such as http://example.com. created: A date and time column that tracks when the visit occurred. After the column definitions, you specify MergeTree as the storage engine for the table. The MergeTree family of engines is recommended for production databases due to its optimized support for large real-time inserts, overall robustness, and query support. Additionally, MergeTree engines support sorting of rows by primary key, partitioning of rows, and replicating and sampling data. If you intend to use ClickHouse for archiving data that is not queried often or for storing temporary data, you can use the Log family of engines to optimize for that use-case. After the column definitions, you'll define other table-level options. The PRIMARY KEY clause sets id as the primary key column and the ORDER BY clause will store values sorted by the id column. A primary key uniquely identifies a row and is used for efficiently accessing a single row and efficient colocation of rows. 0 rows in set. Elapsed: 0.010 sec. In this section, you've created a database and a table to track website-visits data. In the next step, you'll insert data into the table, update existing data, and delete that data. 1 rows in set. Elapsed: 0.004 sec. The output for each row shows that you've inserted it successfully into the visits table. Now you'll add an additional column to the visits table. When adding or deleting columns from existing tables, ClickHouse supports the ALTER syntax. 0 rows in set. Elapsed: 0.014 sec. The output shows that you have added the location column successfully. As of version 19.4.3, ClickHouse doesn't support updating and deleting individual rows of data due to implementation constraints. ClickHouse has support for bulk updates and deletes, however, and has a distinct SQL syntax for these operations to highlight their non-standard usage. The output shows that your update query completed successfully. The 0 rows in set in the output denotes that the query did not return any rows; this will be the case for any update and delete queries. The output confirms that you have deleted the rows with a duration of less than five seconds. Now that you've successfully inserted, updated, and deleted rows and columns in your visits table, you'll move on to query data in the next step. ClickHouse's query language is a custom dialect of SQL with extensions and functions suited for analytics workloads. In this step, you'll run selection and aggregation queries to retrieve data and results from your visits table. 2 rows in set. Elapsed: 0.013 sec. The output has returned two rows that match the conditions you specified. Now that you've selected values, you can move to executing aggregation queries. count: returns the count of rows matching the conditions specified. sum: returns the sum of selected column values. avg: returns the average of selected column values. uniq: returns an approximate number of distinct rows matched. topK: returns an array of the most frequent values of a specific column using an approximation algorithm. 1 rows in set. Elapsed: 0.010 sec. Now that you have successfully queried your visits table, you'll delete tables and databases in the next step. In this section, you'll delete your visits table and test database. 0 rows in set. Elapsed: 0.005 sec. You've deleted tables and databases in this step. Now that you've created, updated, and deleted databases, tables, and data in your ClickHouse instance, you'll enable remote access to your database server in the next section. If you intend to only use ClickHouse locally with applications running on the same server, or do not have a firewall enabled on your server, you don't need to complete this section. If instead, you'll be connecting to the ClickHouse database server remotely, you should follow this step. Add a firewall rule allowing incoming connections to port 8123, which is the HTTP port that ClickHouse server runs. If you are inside the database prompt, exit it by typing CTRL+D. This command will output a success message as well. ClickHouse will now be accessible from the IP that you added. Feel free to add additional IPs such as your local machine's address if required. To verify that you can connect to the ClickHouse server from the remote machine, first follow the steps in Step 1 of this tutorial on the second server and ensure that you have the clickhouse-client installed on it. Connecting to your_server_ip:9000 as user default. Connected to ClickHouse server version 19.4.3 revision 54416. In this step, you've enabled remote access to your ClickHouse database server by adjusting your firewall rules. You have successfully set up a ClickHouse database instance on your server and created a database and table, added data, performed queries, and deleted the database. Within ClickHouse's documentation you can read about their benchmarks against other open-source and commercial analytics databases and general reference documents. Further features ClickHouse offers includes distributed query processing across multiple servers to improve performance and protect against data loss by storing data over different shards. Go is a programming language that was born out of frustration at Google. Developers continually had to pick a language that executed efficiently but took a long time to compile, or to pick a language that was easy to program but ran inefficiently in production. Go was designed to have all three available at the same time: fast compilation, ease of programming, and efficient execution in production. While Go is a versatile programming language that can be used for many different programming projects, it’s particularly well suited for networking/distributed systems programs, and has earned a reputation as “the language of the cloud”. It focuses on helping the modern programmer do more with a strong set of tooling, removing debates over formatting by making the format part of the language specification, as well as making deployment easy by compiling to a single binary. Go is easy to learn, with a very small set of keywords, which makes it a great choice for beginners and experienced developers alike. This tutorial will guide you through installing Go on your local Windows 10 machine and setting up a programming environment via the command line. You will need a Windows 10 machine with administrative access that is connected to the internet. You’ll be completing most of the installation and setup on a command-line interface, which is a non-graphical way to interact with your computer. That is, instead of clicking on buttons, you’ll be typing in text and receiving feedback from your computer through text as well. The command line, also known as a shell, can help you modify and automate many of the tasks you do on a computer every day, and is an essential tool for software developers. 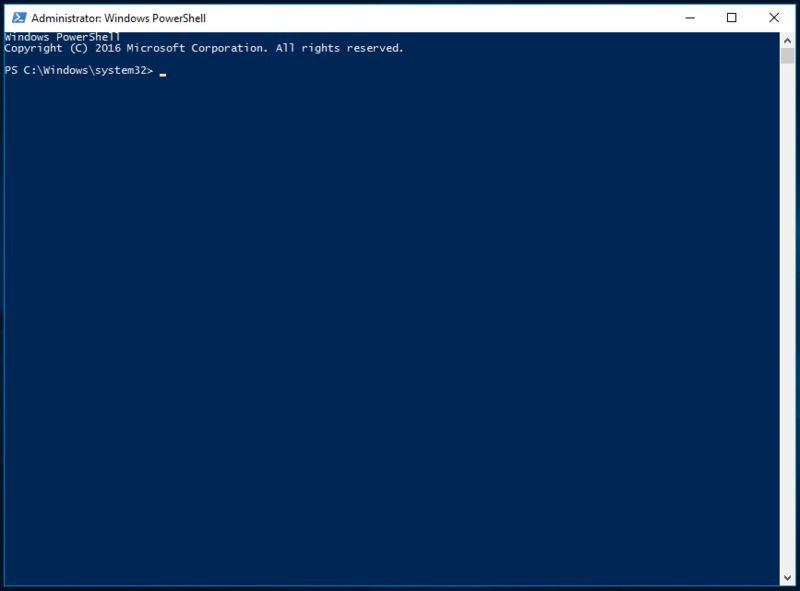 PowerShell is a program from Microsoft that provides a command-line shell interface. Administrative tasks are performed by running cmdlets, pronounced command-lets, which are specialized classes of the .NET software framework that can carry out operations. Open-sourced in August 2016, PowerShell is now available across platforms, for both Windows and UNIX systems (including Mac and Linux). To find Windows PowerShell, you can right-click on the Start menu icon on the lower left-hand corner of your screen. When the menu pops up, click on Search, and then type PowerShell into the search bar. When you are presented with options, right-click on Windows PowerShell from the Desktop app. For the purposes of this tutorial, select Run as Administrator. When you are prompted with a dialog box that asks Do you want to allow this app to make changes to your PC? click on Yes. You'll then be in a home directory such as PS C:Userssammy. Restricted is the default execution policy. Under this mode you will not be able to run scripts, and PowerShell will work only as an interactive shell. AllSigned will enable you to run all scripts and configuration files that are signed by a trusted publisher, meaning that you could potentially open your machine up to the risk of running malicious scripts that happen to be signed by a trusted publisher. RemoteSigned will let you run scripts and configuration files downloaded from the internet signed by trusted publishers, again opening your machine up to vulnerabilities if these trusted scripts are actually malicious. Unrestricted will run all scripts and configuration files downloaded from the internet as soon as you confirm that you understand that the file was downloaded from the internet. In this case no digital signature is required, so you could be opening your machine up to the risk of running unsigned and potentially malicious scripts downloaded from the internet. This confirms that the current user can run trusted scripts downloaded from the internet. You can now move on to downloading the files we will need to set up our Go programming environment. A package manager is a collection of software tools that work to automate installation processes. This includes the initial installation, upgrading and configuring of software, and removing software as needed. 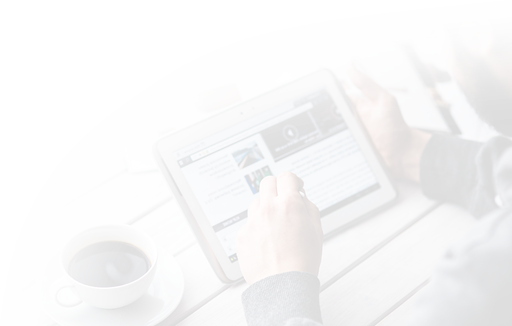 They keep software installations in a central location and can maintain all software packages on the system in formats that are commonly used. Chocolatey is a command-line package manager built for Windows that works like apt-get does on Linux. Available in an open-source version, Chocolatey will help you quickly install applications and tools. You will be using it to download what you need for your development environment. Before installing the script, read it to confirm that you are happy with the changes it will make to your machine. To do this, use the .NET scripting framework to download and display the Chocolatey script within the terminal window. The cmdlet iwr, or Invoke-WebRequest, allows you to extract data from the web. This will pass the script to iex, or the Invoke-Expression cmdlet, which will execute the contents of the script and run the installation for the Chocolatey package manager. Allow PowerShell to install Chocolatey. Once it is fully installed, you can begin installing additional tools with the choco command. With the package manager installed, you can install the rest of what you need for the Go programming environment. In this step, you are going to install nano, a text editor that uses a command-line interface. You can use nano to write programs directly within PowerShell. This is not a compulsory step, as you can also use a text editor with a graphical user interface such as Notepad. This tutorial recommends using nano, as it will help accustom you to using PowerShell. The -y flag automatically confirms that you want to run the script without being prompted for confirmation. Once nano is installed, you can use the nano command to create new text files. You will use it later in this tutorial to write your first Go program. Note: Because go is such a small word, it has become common to use golang as a term for installing packages and when searching the internet for Go-related articles. The term Golang was born from the domain for Go, which is golang.org. see the changes (or in powershell/cmd.exe just type `refreshenv`). The install of golang was successful. Software installed as 'msi', install location is likely default. See the log for details (C:ProgramDatachocolateylogschocolatey.log). Once Go is installed, you can set up a workspace for your development projects. Now that you have Chocolatey, nano, and Go installed, you can create your programming workspace. src: The directory that contains Go source files. A source file is a file that you write using the Go programming language. Source files are used by the Go compiler to create an executable binary file. bin: The directory that contains executables built and installed by the Go tools. Executables are binary files that run on your system and execute tasks. These are typically the programs compiled by your source code or another downloaded Go source code. The src subdirectory may contain multiple version control repositories (such as Git, Mercurial, and Bazaar). You will see directories like github.com or golang.org when your program imports third party libraries. If you are using a code repository like github.com, you will also put your projects and source files under that directory. This allows for a canonical import of code in your project. Canonical imports are imports that reference a fully qualified package, such as github.com/digitalocean/godo. Prior to Go 1.8, it was required to set a local environment variable called $GOPATH. While it is no longer explicitly required to do so, it is still considered a good practice as many third party tools still depend on this variable being set. This will now allow you to run any programs you compile or download via the Go tools anywhere on your system. Structuring your projects in this manner will make projects available with the go get tool. It will also help readability later. Note: If you don't have git installed, Windows will open a dialog box asking if you want to install it. Click Yes to continue and follow the installation instructions. In this step, you created a Go workspace and configured the necessary environment variables. In the next step you will test the workspace with some code. Now that you have the Go workspace set up, create a simple “Hello, World!” program. This will make sure that your workspace is configured properly, and also gives you the opportunity to become more familiar with Go. Because you are creating a single Go source file, and not an actual project, you don't need to be in your workspace to do this. Exit nano by pressing the CTRL and X keys. When prompted to save the file, press Y and then ENTER. This code will use the fmt package and call the Println function with Hello, World! as the argument. This will cause the phrase Hello, World! to print out to the terminal when the program is run. In this step, you used a basic program to verify that your Go workspace is properly configured. Congratulations! At this point you have a Go programming workspace set up on your local Windows machine and can begin a coding project! The “Hello, World!” program is a classic and time-honored tradition in computer programming. It’s a simple and complete first program for beginners, and it’s a good way to make sure your environment is properly configured. Let’s break down the different components of the code. package is a Go keyword that defines which code bundle this file belongs to. There can be only one package per folder, and each .go file has to declare the same package name at the top of its file. In this example, the code belongs to the main package. import is a Go keyword that tells the Go compiler which other packages you want to use in this file. Here you import the fmt package that comes with the standard library. The fmt package provides formatting and printing functions that can be useful when developing. fmt.Println is a Go function, found in the fmt package, that tells the computer to print some text to the screen. You follow the fmt.Println function by a sequence of characters, like "Hello, World! ", enclosed in quotation marks. Any characters that are inside of quotation marks are called a string. The fmt.Println function will print this string to the screen when the program runs. Save and exit nano by typing CTRL + X, when prompted to save the file, press Y. Now you can try your program. With your “Hello, World!” program written, you're ready to run the program. You’ll use the go command, followed by the name of the file you just created. Let's explore what actually happened. Go programs need to compile before they run. When you call go run with the name of a file, in this case hello.go, the go command will compile the application and then run the resulting binary. For programs written in compiled programming languages, a compiler will take the code from a program and generate another type of lower-level code (such as source code or machine code) to produce an executable program. Go applications require a main package and exactly one main() function that serves as the entry point for the application. The main function takes no arguments and returns no values. Instead it tells the Go compiler that the package should be compiled as an executable package. Once compiled, the code executes by entering the main() function in the main package. It executes the line fmt.Println("Hello, World!") by calling the fmt.Println function. The string value of Hello, World! is then passed to the function. In this example, the string Hello, World! is also called an argument since it is a value that is passed to a method. The quotes that are on either side of Hello, World! are not printed to the screen because you use them to tell Go where your string begins and ends. In this step, you've created a working "Hello, World!" program with Go. In the next step, you will explore how to make the program more interactive. Every time you run your program, it produces the same output. In this step, you can add to your program to prompt the user for their name. You'll then use their name in the output. Once again, you use the fmt.Println function to print some text to the screen. The var name string line will create a new variable using the var keyword. You name the variable name, and it will be of type string. The fmt.Scanln method tells the computer to wait for input from the keyboard ending with a new line or (n), character. This pauses the program, allowing the user to enter any text they want. The program will continue when the user presses the ENTER key on their keyboard. All of the keystrokes, including the ENTER keystroke, are then captured and converted to a string of characters. You want to use those characters in your program's output, so you save those characters by writing them into the string variable called name. Go stores that string in your computer's memory until the program finishes running. This time, instead of using the fmt.Println method again, you're using fmt.Printf. The fmt.Printf function takes a string, and using special printing verbs, (%s), it injects the value of name into the string. You do this because Go does not support string interpolation, which would let you take the value assigned to a variable and place it inside of a string. Save and exit nano by pressing CTRL + X, and press Y when prompted to save the file. Instead of Hi, Sammy! I'm Go!, there's a line break right after the name. The program captured all of our keystrokes, including the ENTER key that we pressed to tell the program to continue. In a string, pressing the ENTER key creates a special character that creates a new line. The program's output is doing exactly what you told it to do; it's displaying the text you entered, including that new line. It's not what you expected the output to be, but you can fix it with additional functions. This uses the TrimSpace function, from Go's standard library strings package, on the string that you captured with fmt.Scanln. The strings.TrimSpace function removes any space characters, including new lines, from the start and end of a string. In this case, it removes the newline character at the end of the string created when you pressed ENTER. To use the strings package you need to import it at the top of the program. Save and exit nano. Press CTRL + X, then press Y when prompted to save the file. You now have a Go program that takes input from a user and prints it back to the screen. In this tutorial, you wrote a "Hello, World!" program that takes input from a user, processes the results, and displays the output. Now that you have a basic program to work with, try to expand your program further. For example, ask for the user's favorite color, and have the program say that its favorite color is red. You might even try to use this same technique to create a simple Mad-Lib program.